When times comes to pay and the parent who is supposed to provide child support is not doing so, then you should file a complaint. 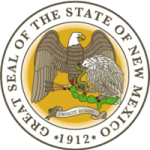 In New Mexico, you can do this online and get the needed help with ease. It requires you to go through a certain process where you have to fill out a form to make a legitimate complaint. Step 2: Fill the fields as required. Step 3: Read and accept by signing that the information you have provided is true.